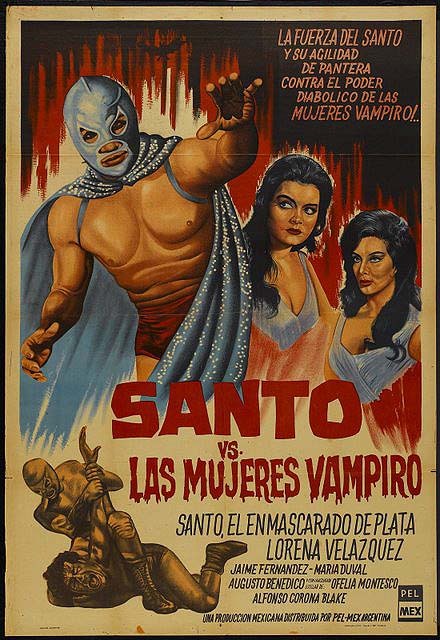 For your listening pleasure, an audio review of Santo vs the Vampire Women. We’ve dug deep into our audio vault and turned up this long-lost gem. Listen as Lou, Steve, and Jim, once more take on the Silver Masked Avenger. Vampire Women holds a special place in the Santo canon (it’s the first film many Santo fans ever saw), but you might be surprised at the score given to it by the three-man tag team of misfit reviewers. For more Santo entries, check the sidebar under Categories and click Santo. 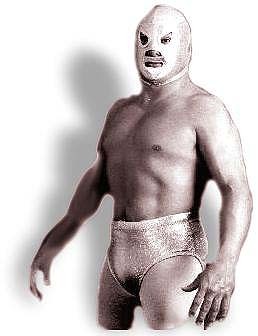 Santo may not be for everyone, or maybe he’s an acquired taste, but more than likely if you didn’t watch his films as a kid, the attraction may never be there for you. Watching these movies now as an adult, it’s easy to pick them apart and laugh at the crazy plots and goofy sets, but there’s also a winning kind of sincerity to them and a willingness to throw everything into the the movie — not just the kitchen sink, but werewolves, vampires, the living dead, Frankenstein’s monster, you name it. Also, there are always one or two moments that can only happen in a Santo movie. Santo vs la hija de Frankenstein (Santo vs Frankenstein’s Daughter) has two such moments.